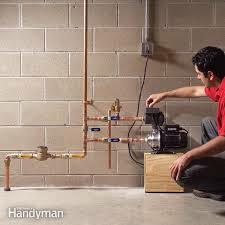 At Dublin Plumbers we service all types of Water & Heating Pumps. We also repair& replace old/worn pumps. Pumps, Wilo Pumps, Watermill Pumps and Aquatech Pumps. We pride ourselves that we offer a comprehensive 24 hour a day, seven days a week heating and water pump service throughout county Dublin to both domestic and commercial customers. Regardless of which type of water or heating pump you may have, we can provide a comprehensive service, repair, supply and fit for all makes and models of heating pumps including Wilo , Grundfos, Stuart Turner, Aquatechand Watermill. If you do not see your particular pump manufacturer mentioned, don’t worry as we work with all of the brands, makes and models of water and heating pumps. At Dublin Plumbers some of our engineers have over 30 years experience in the plumbing and heating industry and are fully trained and insured. If you need your water or heating pump serviced, repaired or replaced, please call one of our local plumbers on 01-2844921 to speak to a real person, who will be delighted to answer any questions you may have.